Iron is an important mineral but one which we can easily become deficient in, particularly if our diets are not complete, or when recovering from illness or injury. Women (particularly adult women, and those who are pregnant or breastfeeding) have a particular reason to ensure optimal iron levels. Iron is a mineral that contributes to the normal formation of red blood cells and haemoglobin, and contributes to the transport of oxygen in the body. 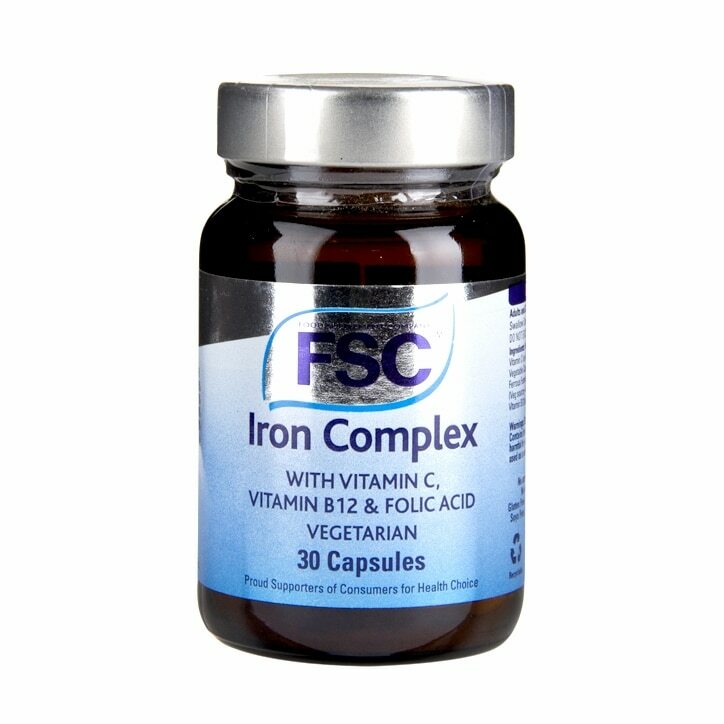 Vitamin C is added to this iron supplement, because it supports iron absorption, and Vitamin B12 and Folic Acid are added because they may contribute to normal blood formation. A great supplement if you suffer the effects of low iron in your body. Vitamin C, Iron Ascorbate, Iron Malate, Bulking Agent: Cellulose Powder; Vegetable Capsule Shell (hydroxypropylmethyl cellulose), Anti-caking Agent: Magnesium Stearate*; Folic Acid, Vitamin B12. *Vegetable Source.